Off The Hook plays a mix of old school funk, R&B and classic soul. We will get the party started on the dance floor! The band is fronted by two dynamic female singers and backed by a solid rhythm section, guitar, bass, keyboards, drums and sax. 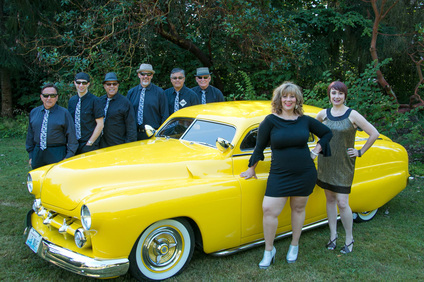 We're available for private and public events and play throughout the Greater Seattle area and beyond!